This amethyst stone is from Brazil, where the finest crystals of the highest quality are found. Amethyst has a general cleansing effect and is good for headache and stressed, hormonal skin. This roll have texture in one of the stones to make bloodcirculation even more effective. 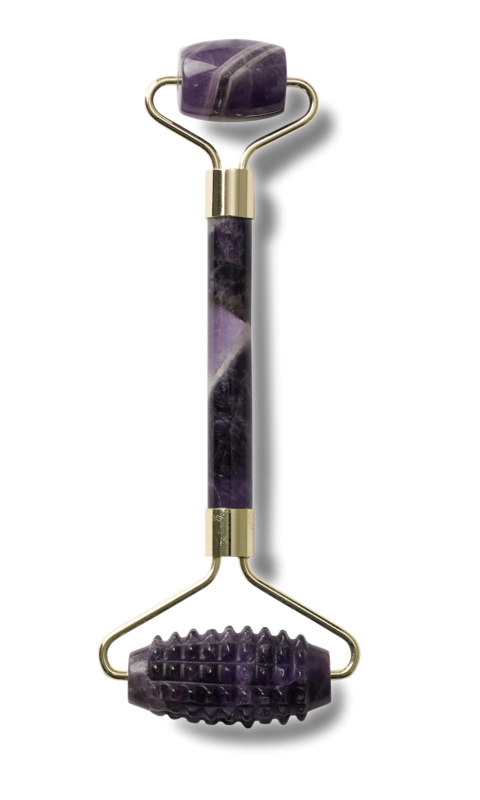 The amethyst face roller is used to stimulate the microcirculation and the muscular face and for facial acupressure and lymphatic drainage. It is a form of facial exercise that can also be used preventive. When you strengthen the microcirculation of the skin, you strengthen the cellular tissue and after a while, you will notice the tightening effect. Your skin also gets more glow from the increased blood flow.